DAVID LE/Staff photo. 6/3/15. 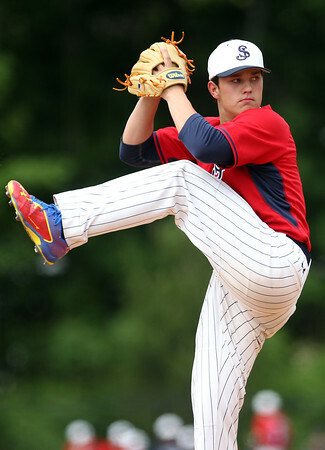 St. John's Prep senior ace Justin Foley kicks his leg high and delivers a pitch against Newton North.